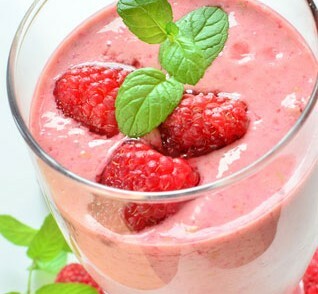 A tasty, refreshing smoothie, perfect for a quick breakfast or as a midday snack. 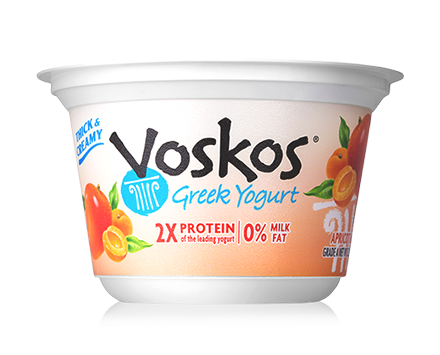 Our twist of sweet and tangy tropical fruits in creamy Greek yogurt will thrill your taste buds and take you to flavor paradise. In a small saucepan, bring the sugar and water to a boil over medium-high heat. Simmer, stirring occasionally, until the sugar has dissolved, about 5 minutes. Cool for 20 minutes. Pour the cooled syrup into a blender. Add the frozen raspberries, VOSKOS Tropical Apricot Mango Greek Yogurt, apple juice, vanilla extract, and ice. Blend until the mixture is smooth and thick. Pour into glasses and serve.